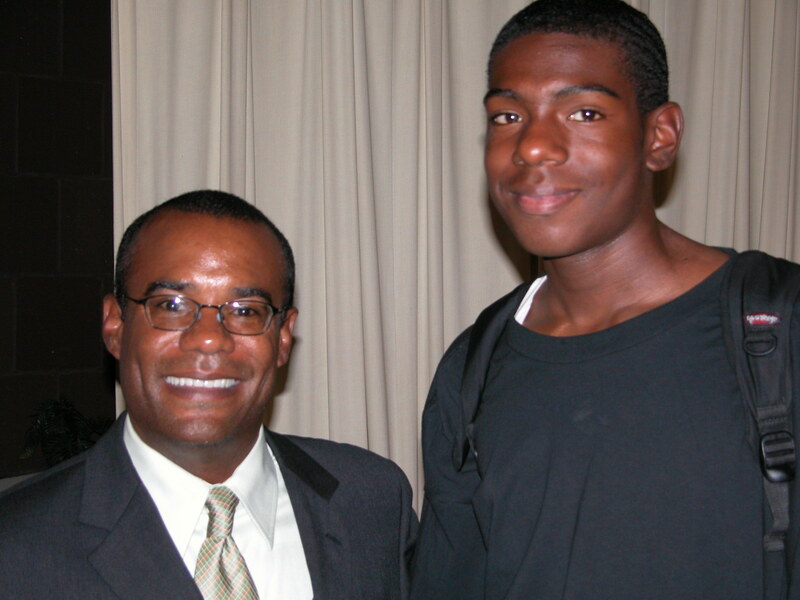 Guest Speaker Karen Hawkins speaks at Collins School. 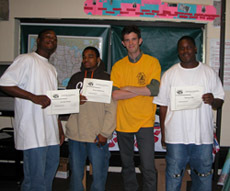 Students from Paul Robeson High School show off their graduation certificates with youth program instructor Micah Maidenberg. 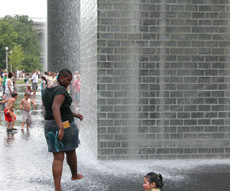 UYIJP journalist Twanda White strolls through the water installation at Millenium Park. 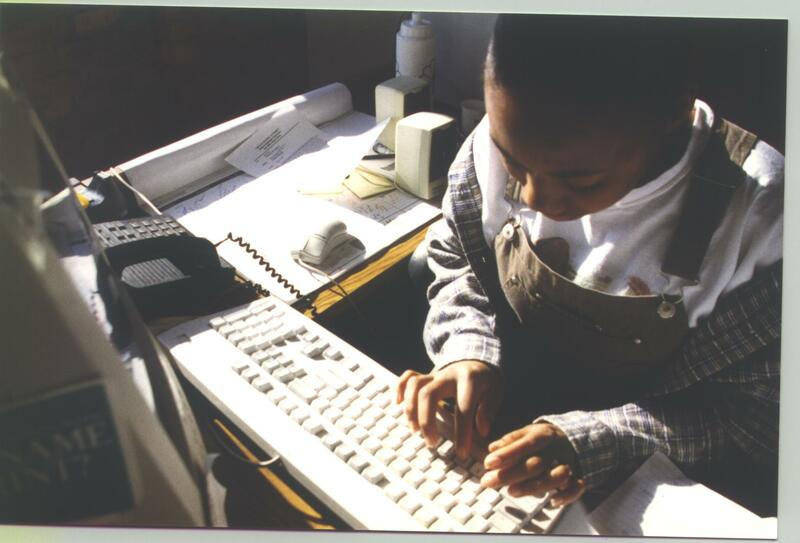 UYIJP student preparing her article at Residents’Journaloffice in 1999. 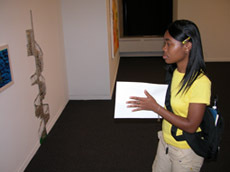 UYIJP participant Ebony Williams checks out an art exhibit at the Chicago Cultural Center. 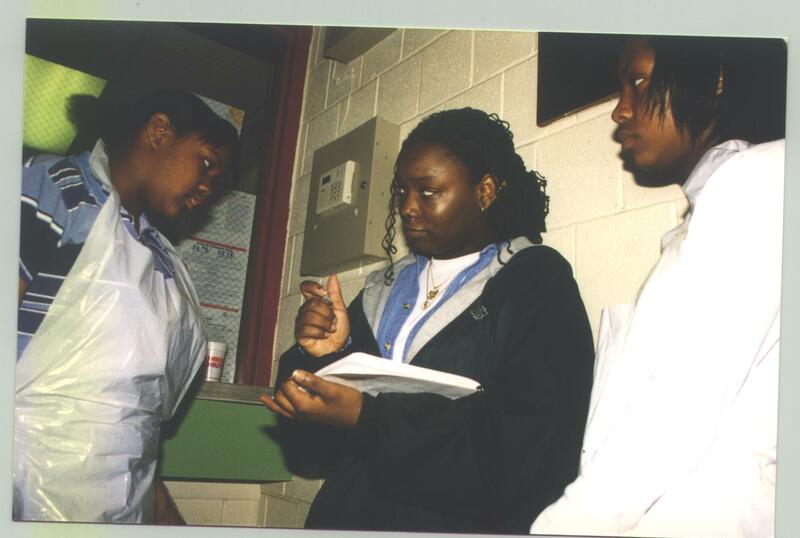 UYIJP student reporters at Chicago Tribune in 1999. 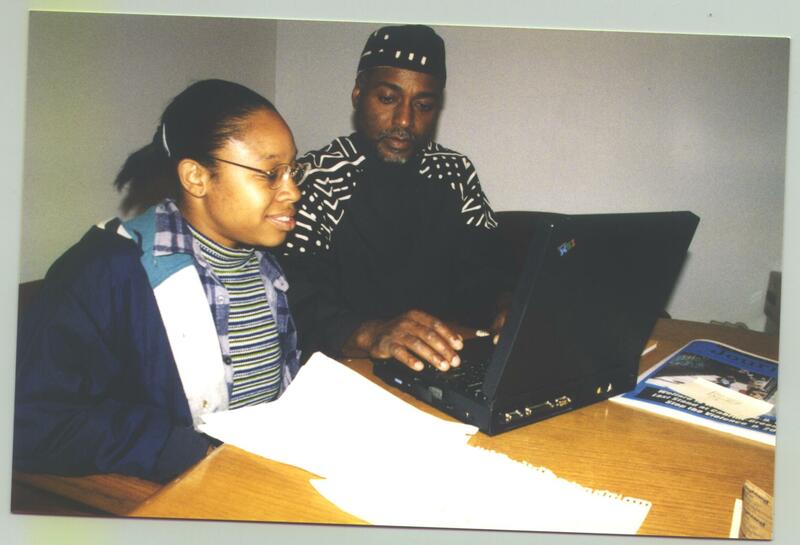 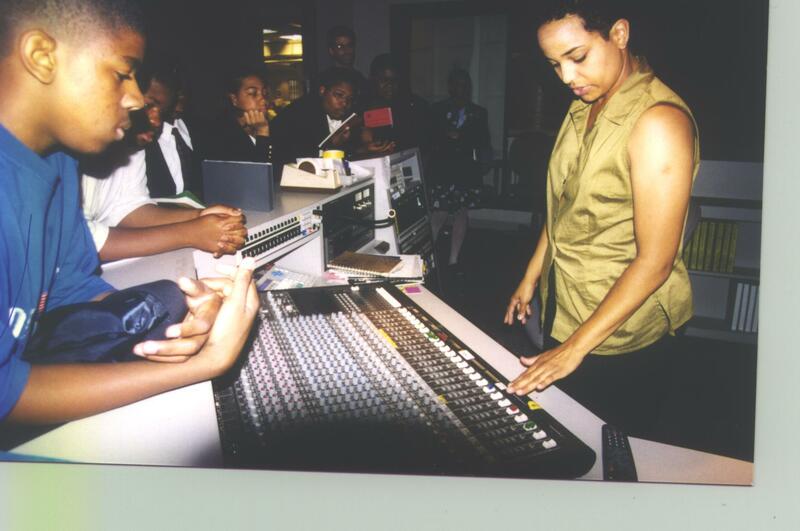 UYIJP student reporter Quintana Woodridge preparing her article with Program Instructor in 1999. 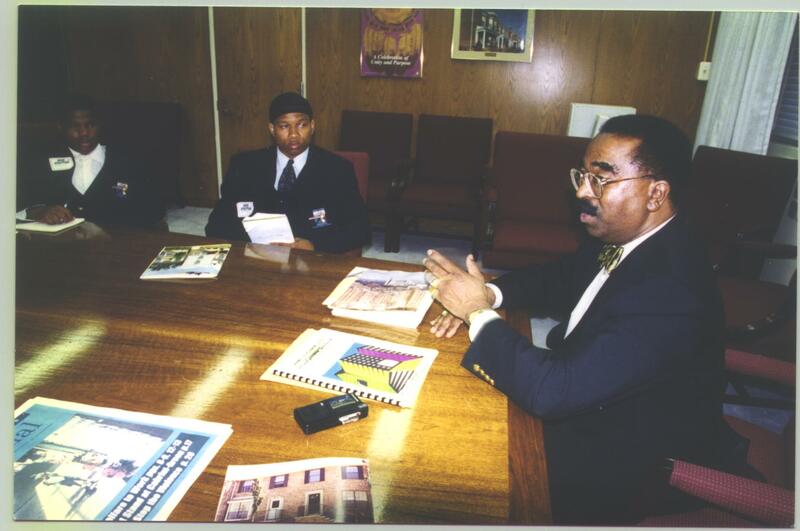 UYIJP students and program director Ethan Michaeli with U. S. Department of Transportation Secretary Rodney Slater in Washington D. C. in 1999. 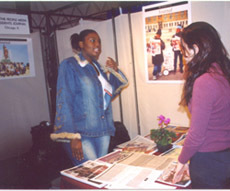 UYIJP student reporters interviewing a youth participant at a Kids Can Cook event in 1999. 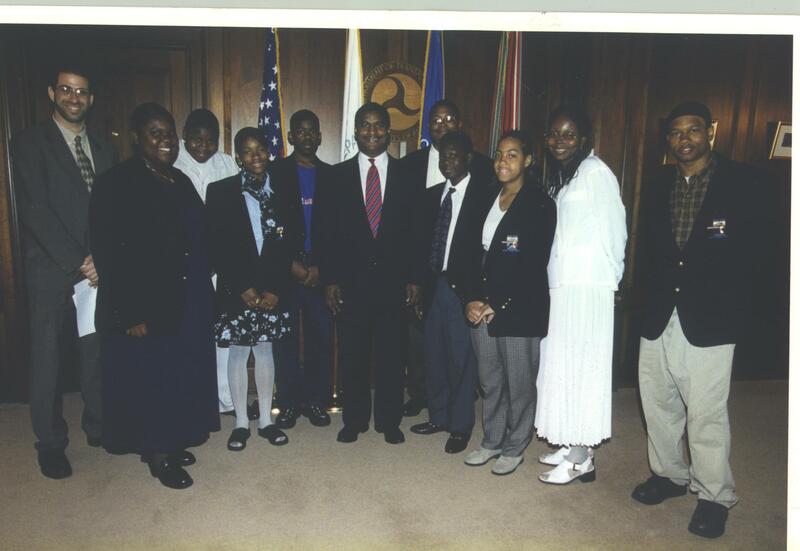 UYIJP students with U. S. Department of Housing and Urban Development chief Harold Lucas, in Washington D. C., in 1999.